Surprise, It's Time to Meet a New Author! 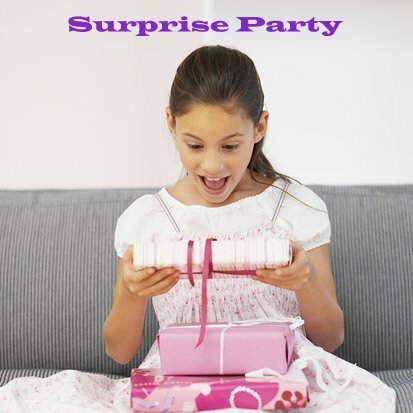 This edition of Surprise Party will introduce you to Virginia Wright. She has written and illustrated 4 books for children; The Princess and the Castle, Buzzzzzz: What Honeybees Do, The Prince and the Dragon, and Crying Bear: Yes, Bears Cry Sometimes Too. You can visit the Virginia Wright Website for more information on each of the books, activity ideas, and read her blog. 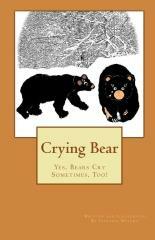 I focused on a book Crying Bear: Yes, Bears Cry Sometimes, Too!, for this post. The book is about a young bear who emerges from her den and is unable to find her mother. She attempts to try to find her mother on her own but gets lost. Fortunately, she is reunited with her mother but with tears in her eyes. Crying Bear was the name of a stuffed bear that Virginia had when she was a young girl. She recalled this special bear when she wrote this book for her five grandchildren. I thought about my children when I read this book. They both have their own special stuffed animals. I thought it would be fun to write stories together about their favorite stuffed animal. I put together a worksheet for families to create their own Crying Bear stories. Click here to download the printable worksheet. Virginia Wright's books are available at Amazon.com . Happy Birthday Author: What led you to become an author? Happy Birthday Author: Can you describe the feeling you had when you saw your first book published? Virginia Wright: If you think way back, back to when you were a child, and remember the excited feeling you had anticipating Christmas morning. Think about something you wanted dearly, more than any other gift, and then Christmas morning comes, and you are sitting under the tree tearing into gifts, first one, then another, and suddenly you tear off the wrapping of that special thing you wanted, and you are now holding it in your hands.” Well, that feeling-- is how I felt when I saw my first book listed-- at Amazon.com. Happy Birthday Author: What are you currently working on? Virginia Wright: My next children’s book, The Christmas Secret, will be hitting the market late fall. It feels like it is working into a Christmas classic to me—But I also, have a children’s cookbook I’ve been working on, that should be out by spring of 2011. I’m not sure where my writing will take me after that, I have giving some thought to writing Tween chapter books or Young-Adult (YA) fiction; perhaps, a romance novel is in the works, too. Happy Birthday Author: Could you describe your process of writing and illustrating a picture book? Virginia Wright: As far as ideas for books, they just happen…I could be out for a walk, someone could say something, I could have an old memory, and something gets triggered and then the story writing begins; or shall I say, “Where the magic happens.” When away from my computer, my writing pad is anything that I can write on; a tissue, a receipt, a piece of a torn magazine. I’ve even written on my hand before. Then when I get home, I get out my computer and write my thoughts down. My illustrating is done for the most part, digitally. I take hundreds of photographs, then I draw and paint, illustrating using my finger and the mouse pad. Happy Birthday Author: What is the favorite book that you have written? Virginia Wright: Each book was written specifically for and dedicated to family members. So, each book is special. The Princess and the Castle was written especially for my granddaughter Elisabeth, she loves everything “Princess,” and this story seemed like a right fit. My second book, Crying Bear, was dedicated to all my five grandchildren. I grew up in Maine, and on more than one occasion I saw a bear… and as a child, I had a stuffed bear, I called, “Crying Bear,” that memory was realized in the book. The Prince and the Dragon was written because my grandson Tyler asked if I would write him a book. While it is not a sequel to Princess and the Castle, you will find some familiarities. Then there is Buzzzzzzzz which should have been spelled, “Buzz;” but nonetheless, it is a children’s book about honeybees. This was dedicated to my granddaughter Abigail, she loves her grandfather dearly, who is a beekeeper. One day when visiting our farm in Ohio, he took her to the bee yard. After returning, she had all kinds of questions about honeybees, and what they do; which prompted my idea of writing Buzzzzzzzz: What Honeybees Do. Our greatest pollinators are the honeybees, and the honeybee population worldwide is in danger, which is being called Colony Collapse Disorder. Buzzzzzzzz What Honeybees Do, not only teaches us about honeybees but also, what we can do, to help save the honeybee. So, the answer is, you probably guessed it-- Buzzzzzzzz is my favorite. Happy Birthday Author: As a preschool teacher you had a program called Book-A-Day? Could you explain this program? Virginia Wright: One thing I noticed as a preschool teacher was that children were starting to care less about reading books, and were turning that interest into games they played on the computer. In 1998, while teaching at St. John's Preschool and Kindergarten in Ocean Springs, Mississippi, I implemented a reading program in my class that I penned, Book-A-Day™ I found that young children had much more interest in story time when it was made part of a daily schedule. Instead of students just bringing in a book on “Show & Tell Day,” every day children took turns bringing in a book. It was an easy plan to establish... because I incorporated children bringing in a book with their turn to bring in snack. I found that the interest was two-fold in story time after just a week of starting this program. While teaching at St. John's, I kept the "Book-A-Day™ program" in place in my classroom. Book-A-Day™ is a reading literacy plan that I hope to make every preschool and kindergarten class aware of. Happy Birthday Author: Keeping with the theme of the blog. When is your birthday? Virginia Wright: My favorite birthday tradition is waiting until the very end of the day to open my gifts. All the waiting drives my family and friends nuts. But, I like to go out to eat, and when I get home fix a cup of tea, get any cards and gifts I have received, and just relax on the couch, while enjoying every moment. As far as a birthday memory goes, as a child on my birthday, my mother would make a cake, and inside the cake, she would wrap coins in wax paper, it was always great fun seeing who got what coins in their piece of cake. My friends loved the idea. Happy Birthday Author: Any additional thoughts? Virginia Wright: I actually received an ornament one year at Christmas while teaching preschool at St.John’s, it reads “Dream.” I leave it hanging all the time in my office, as a reminder to never stop dreaming; because on occasion—dreams do come true. 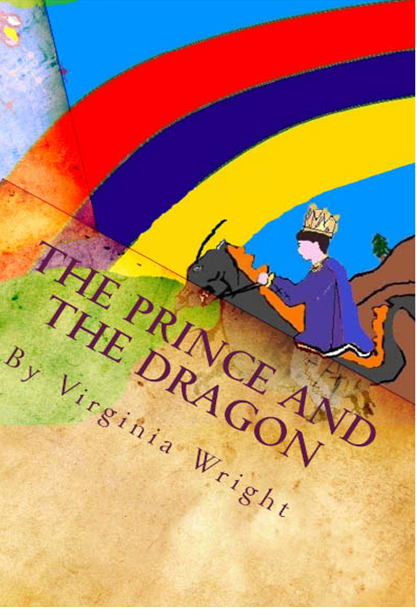 Virginia Wright has generously provided a copy of Crying Bear and The Prince and the Dragon as a giveaway to one lucky reader of Happy Birthday Author. Post a comment to this article to qualify for the drawing. You can even receive an extra entry if you mention that you shared the information about Virginia Wright (Twitter, Facebook, etc.). Deadline for entry is June 22, 2010. Disclaimer: I was not compensated for the writing of this post. However, I did receive books from the author to aid me in writing the post. The books are given away to my readers. The blog does receive a small percentage from Amazon.com purchases. I read Virginia's book, Buzzzz, What Honey Bees Do. It's really informative. My children enjoyed learning about the bees and looking at the photographs. I commend Virginia for writing books for children that teach. I know Virginia from Facebook.I respect what she does and how she does it. Her grandchildren must be thrilled with the books their grandmother wrote for them. As an author of two novels, I have to say,way to go, Virginia! Great Post! Her books are great, and I really enjoy your Blog. Virginia, these sound like such awesome books! I would love for my grandchildren to be able to read these wondeerful stories. Congratulations to Sherry E. for winning the Virginia Wright books. This contest is now closed. Congratulations on the "win" SherryE, I hope you enjoy Crying Bear and The Prince and the Dragon, as well as you did Buzzzzzzzz. Thank you for the opportunity you have given me to be celebrated here at Happy Birthday Author.com.